Hematopoietic stem cells (HSCs) give rise to blood and immune cells, and are therefore essential for survival. 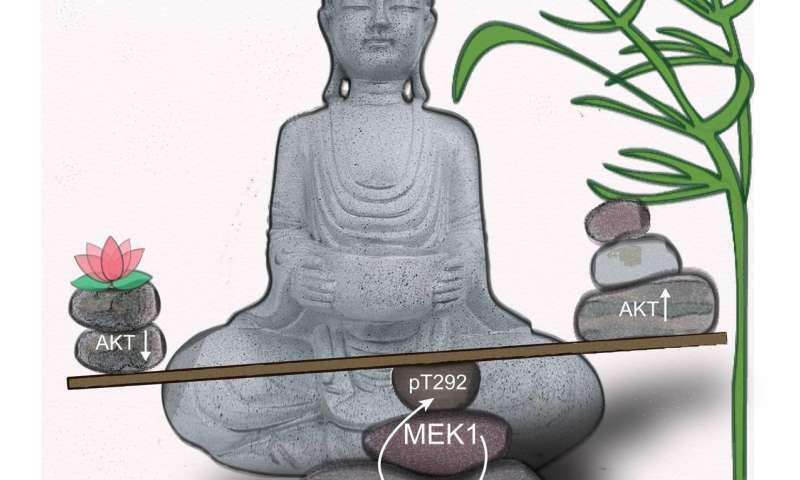 The group of Manuela Baccarini at the Max F. Perutz Laboratories, a joint venture of the University of Vienna and the Medical University of Vienna, has now shown how intracellular signaling can safeguard this delicate balance between activation and dormancy. Their results are published in the prominent journal Cell Stem Cell. While circulating through the body, blood delivers vital substances such as oxygen and nutrients to cells and tissues. Chemotherapy, radiotherapy and blood loss in general impoverish the system. A special cell type in the bone marrow, hematopoietic stem cells (HSCs), replenish the impoverished system by giving rise not only to red blood cells, but also to cells of the immune system. Thus, HSCs play an absolutely crucial role for survival. To compensate for blood loss, HSCs, which are usually dormant, start to actively self-renew and differentiate into all blood cell types. After completing their task, however, HSCs need to revert back to their dormant state very rapidly, or they will exhaust. This requires a very delicate balance. A small tilt toward activation or dormancy can have catastrophic consequences for the organism, resulting, in the worst case, in death. Manuela Baccarini's group at the MFPL has now discovered the mechanism behind this delicate balance. First author Christian Baumgartner says, "Up until now, we knew that the balance between activation and return to dormancy existed and was essential, but not how it was kept and which players were involved". The new paper identifies the players and details their regulation during stress-induced blood production.